Tame your short run creasing tasks with the PT375 A+. 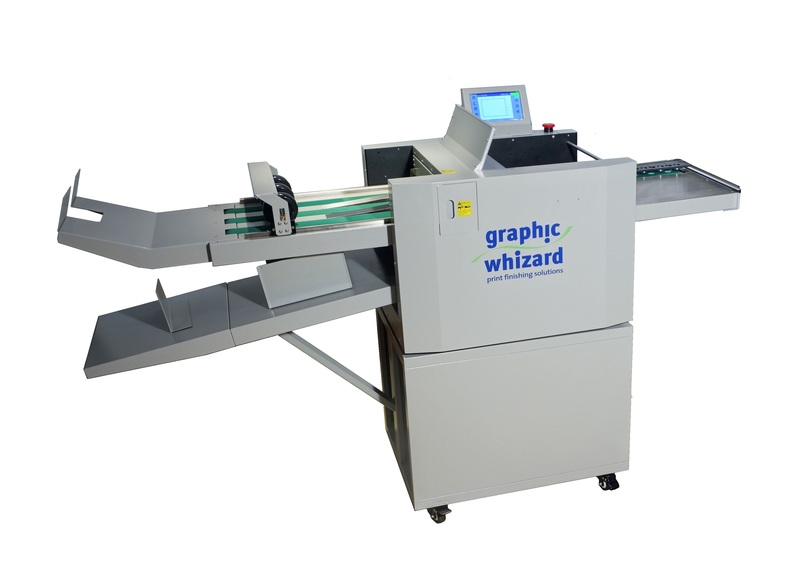 Processes up to a maximum sheet size of 14.5″ x 25.5″ / 36.8 cm x 64.75 cm (39″/99.1 cm handfed) and perform up to 16 creases per sheet! The PT375 A+ features an efficient suction feeder, simple touchscreen controls, easy to replace front loading interchangeable crease/perf dies, a faster speed than the PT370 A, and up to 50 jobs can be stored into long-term memory. Rotary perforation optional.